Square banquet table is designed for light-duty use. Capacity indicated refers to weight evenly distributed. Banquet table holds up to 250 lb. Design features powder-coated 1" steel legs. 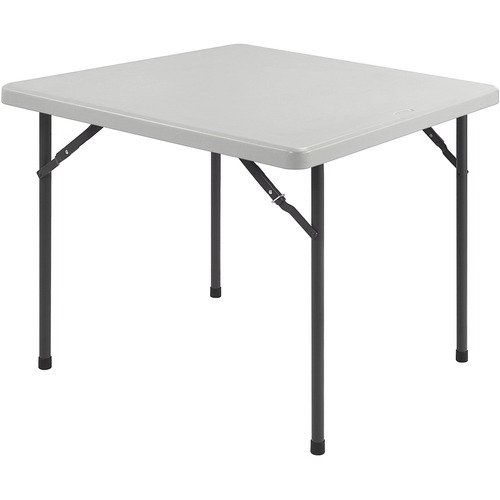 Use banquet table for indoors or outdoors.